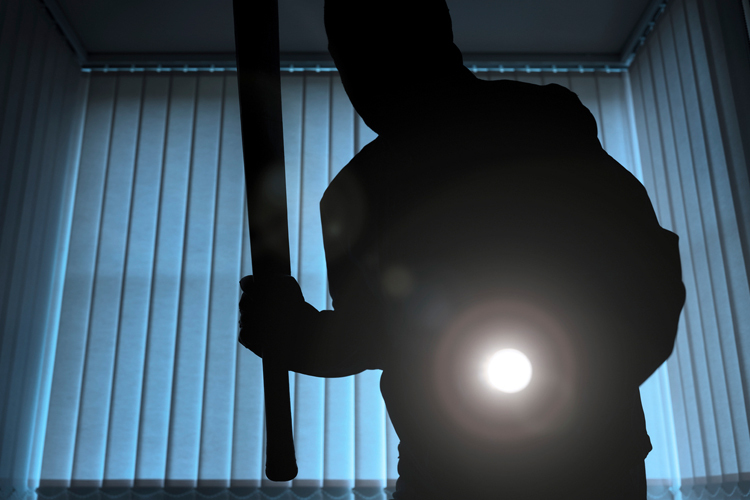 Most residential break-ins happen in the middle of the day, when crooks assume no one is home. Unfortunately, that is not always the case. Some criminals mistakenly encounter residents once they get inside, or worse, seek out occupied houses. That elevates a standard burglary into a home invasion – and that means real danger. WKMG News 6 recently interviewed Florida police officers for tips you can use if you’re ever home during a break-in. This tip applies only to the moments before the criminals make it inside the house. If you see or hear someone trying to get inside, make as much noise as possible to make them rethink their decision. Apoka Police Officer Ashley Eller suggests, “Why wouldn’t you scream out? ‘Hey, everybody come to the front room, there’s something happening.’ Get the dog to bark. Get people to think that there are more people inside of the home.” After the intruders are inside, however, it’s usually best to hide. If you have a monitored home security system, keep it armed at all times, using your system’s Stay mode while you’re at home. Then, if someone breaks in, the alarm will be triggered and the monitoring center notified to send help. Most alarm control panels also have a panic button to manually trigger your alarm siren and alert the monitoring center. Officer Eller says, “If you have an alarm at your house, please use it. Set it off.” Just knowing a home has an alarm system is enough to deter most criminals. Even if you already triggered your alarm system, you should call 9-1-1. 9-1-1 dispatchers are trained to help you remain calm while providing critical information to assist police. Officer Eller explains, “We need to know where you are, not only your physical address, but where you are in the residence. We want to know how many people are in that residence with you, if you have any animals…if you have any firearms, or any other weapons you may be arming yourself with.” Any additional information you can provide regarding suspect descriptions or locations within the home are also very helpful.